Omron’s latest solution addresses 40% of the global market’s requirements for safety networking. Hoffmann Estates, IL. – The CIP Safety networking protocol has gained popularity among industrial robot manufacturers thanks to its ability to enhance flexibility and facilitate advancements in the industrial internet of things (IIoT). This protocol is now supported by a new version of the NX-series safety controller from Omron Automation Americas, a provider of innovative solutions for industrial automation. 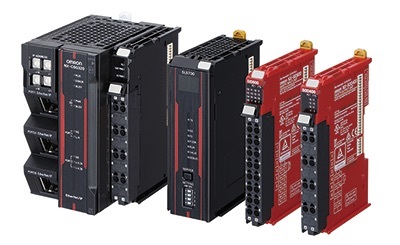 This addition means that the new controller is the world’s first to support two industrial safety networks – CIP Safety and Safety over EtherCAT (FSoE), a protocol favored for its high-speed response. The controller is optimized to support applications in industries like automotive manufacturing and food factories where a wide variety of products are produced and production lines are frequently modified. The new controller is also scalable from large automotive production lines to small parts production lines. With both CIP Safety and Safety over EtherCAT, Omron’s latest solution addresses 40% of the global market’s requirements for safety networking.